A donor can transfer ownership in securities to Bona Vista and our organization benefits from the proceeds of the sale of those securities. The donor avoids paying capital gains taxes and receives an immediate income tax deduction for the fair market value of the securities on the date of transfer. Cash gifts provide an immediate benefit to Bona Vista and tax incentives to the donor for the applicable tax year. 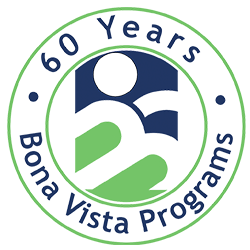 Bona Vista Programs can be named as the beneficiary on a donor’s life insurance policy. This allows the donor to secure a future gift for our organization without having the cash on hand at the time the gift is designated. Gifts of personal property may include items such as pieces of valuable artwork, antiques, or other collectibles. Bona Vista may elect to keep the items to display or may later sell the items to benefit from the proceeds. Donations of real estate may include land and anything attached to or erected on the land. A donor can name Bona Vista as a beneficiary on an IRA, 401(k), or other qualified plan. The residual amount that remains in the plan at the time of the donor’s death would pass to our organization tax-free.